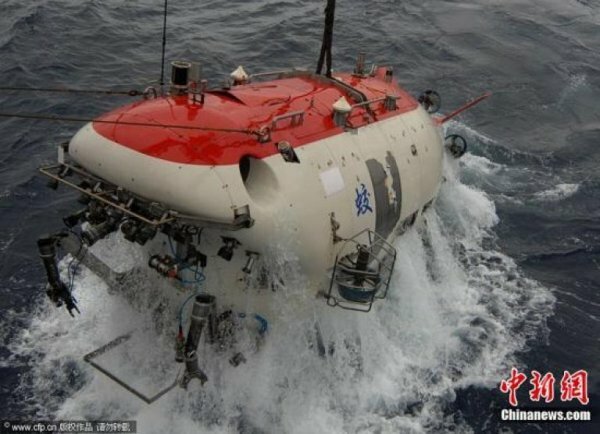 China’s deep-sea manned Jiaolong submersible has embarked on a journey to conduct the country’s 38th oceanic scientific mission in preparation for potential mining of the sea bed. Carried by the advanced expedition ship Xiangyanghong 09, the craft departed from the port city of Qingdao in east Shandong Province on Monday morning. Jiaolong will be used to explore the polymetallic sulphides in a deep-sea rift in northwest Indian Ocean, with the mission anticipated to pave the way for China’s upcoming application to the International Seabed Authority for mining rights in that area of the seabed. China is pursuing the ability to mine the seabed due to a scarcity of natural resources at home and increasing mineral prices on the international market. Underwater mining operations would not be uncontroversial however, as they would impinge upon delicate ecologies. Such activities will also present exacting technological challenges. During the next few months the submersible will also conduct scientific explorations in the South China Sea, Yap Trench and Mariana Trench. More than 150 scientists and researchers from 20-plus scientific institutions joined the planned 124-day voyage, according to state media. Jiaolong was named after a mythological sea dragon and is the world’s first manned submersible designed to reach the depth of 7,000 metres below sea level, according to chief designer of the submersible Xu Qinan.